A rare celestial phenomenon occurred after a span of 150 years, on January 31. 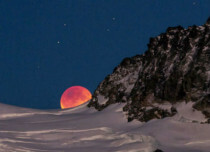 A lunar trilogy was witnessed wherein a Supermoon, a Blue Moon and a lunar eclipse occurred. As per reports, United States saw the celestial trifecta before sunrise on Wednesday. 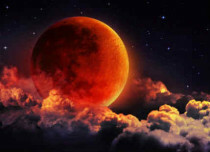 Other places which lie further east like The Middle East, Asia, Eastern Russia, Australia and New Zealand witnessed the super blue blood moon during moonrise during the evening of January 31. People across the world have captured mesmerizing pictures of the rare phenomena. Super Blue Blood Moon over Jerusalem tonight. the eclipse will be visible before sunrise on Jan-31.